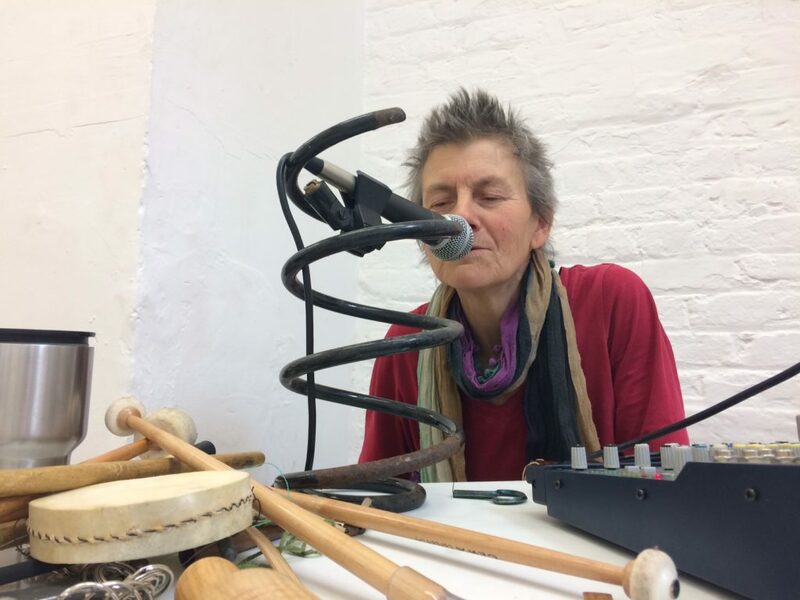 camillacancantata (saunders), musician, musical director, performer, composer, improviser (piano, voice, trombone, accordion, found objects) – committed to free improvisation as an art form and means of communication. Started improvising as a theatre musician and musical director, and then focused for many years on finding ways to compose that did not rely on conventional written notation. Now uses a combination of scored, unscored, and differently scored ways of conveying musical ideas. Also co-founder of Fractofusus, The Radnor Improvisers and a member of Oxford Improvisers. In 2015 awarded a DAR composer residency at Druskininskai, Lithuania, which resulted in the piece ‘Becoming’ in 8 parts for Choir Brevis. Most recent commission – music for Landance 2017, outdoor dance at Maumbury Rings, Dorchester, and Dorchester market. ‘Variation and Adaptation’ (settings of texts about evolution by Darwin, Stephen J Gould and others), was first performed at Amgueddfa Cymru, the National Museum of Wales, Autumn 2016.